Below is a simple, step-by-step indication of what to expect when we prepare your income tax return. Once completed, we'll call to let you know we've done our initial review. This call will be supported by an email with suggestions, advice, questions, request missing information, etc. This provides us with your responses documented for future reference. Once you've gathered all info we've requested, simply provide us with that information. If any questions come up, you can call or email anytime and we'll be happy to respond ASAP. 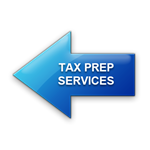 We'll email** you a tax return for review, along with your Fee Invoice & E-file Authorization forms. **If you prefer to avoid electronic review, you can request a review return be mailed to you. By paying your invoice & returning the signed forms, you provide your authorization for us to E-file your tax return. We'll E-file your tax return upon receiving your fee and signed E-file Authorization forms. You'll be emailed** a final copy of your filed tax returns to keep with your records. **You can also request a paper copy of your filed tax return at NO additional cost. Upon receiving your submission, we'll contact you within 1 business day.